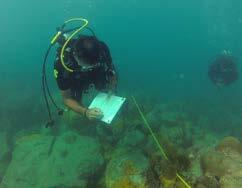 On December 4-6, 2017, the diagnostic Reef Check took place as it has every year since April 2008. 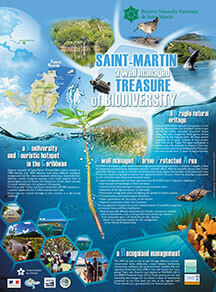 This 10th edition focused on the historic site of Galion, as well as three other sites studied over the past three years: Caye Verte, Pinel, and Rocher Créole. The data collected has not yet been analyzed but little impact was noted in terms of the fauna and fixed flora (coral, gorgons, sponges...). Mobile fauna – fish and crustaceans – seems to be been disturbed and modified, but only the results of the data will determine their exact state. 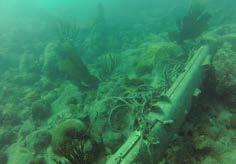 A minor presence of post-Irma debris was observed at the four underwater sites, especially at Rocher Créole where it is necessary to remove masts, booms, and ropes. A worldwide effort, Reef Check helps contribute to the global evaluation of coral reefs, The data is transmitted to Reef Check France and added to the Reef Check International database. 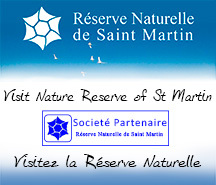 As in past years, the data will be made available in an online report on the website for the Réserve Naturelle.